Today, I walked past the decentlab deployment at Verein Lunge, Zürich and just had to take a few photos. 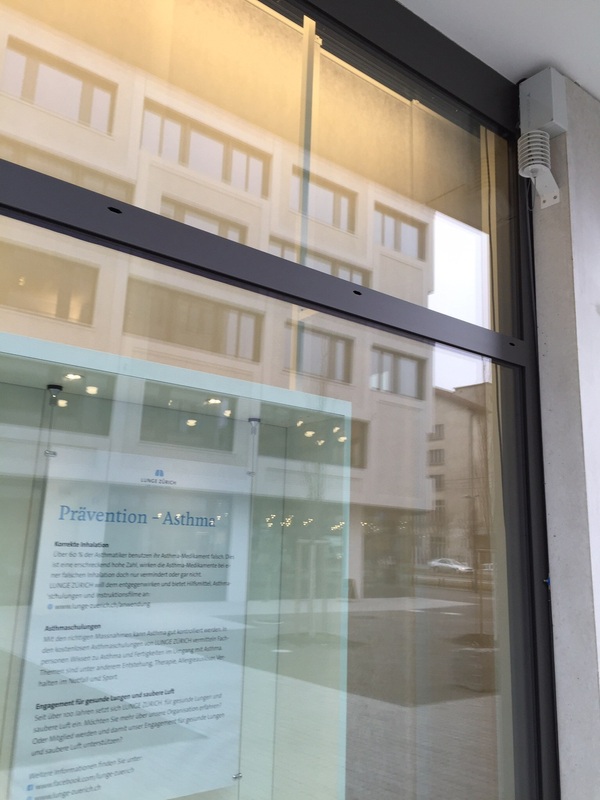 Verein Lunge are making observations at their new offices, next to Pfingstweidstrasse and displaying the measurement to the public. The decentlab station is recording particulate matter concentration, temperature and relative humidity. The data is updated every five minutes and displayed on this website and window in real time. The address if you are in Zurich and want to check it out is Pfingstweidstrasse 10, 8005 Zürich.